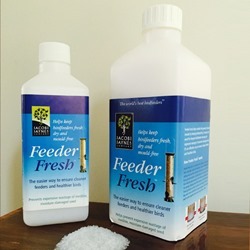 Wild bird hygiene should play a prominent role in your feeding efforts - cleaning your birds feeders and baths properly will ensure that your local bird population remains healthy and disease-free! 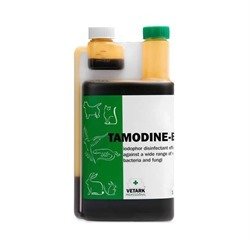 In order to maintain your feeding stations, we provide a selection of bird hygiene products, which can be used for cleaning bird feeders, baths and other frequented surfaces. This is an essential step for areas where unusually large numbers of birds congregate to feed, as this puts them at risk of contracting and spreading diseases amongst themselves. 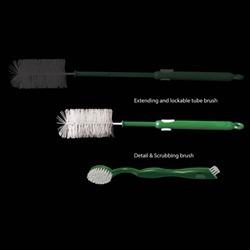 For thorough cleansing, we recommend the VetArk professional range, which can be used for everyday cleaning as well as more heavy-duty operations. 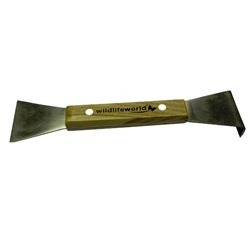 These are also available to order in a variety of sizes, depending on the scale and demands of your garden feeding routine. 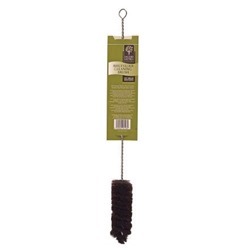 You can find advice for cleaning bird feeders over on our wild bird care page, or simply send your questions to Lesley, our resident vet! Cleaning Brush Dirty feeders spread disease, so regular cleaning is essential. 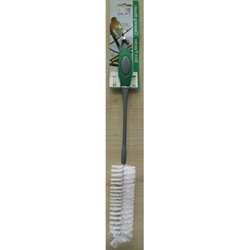 Scraper Tool Makes cleaning bird tables so much easier! 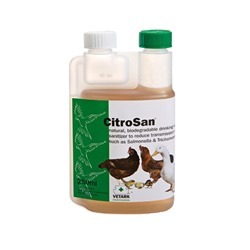 Vetark Citrosan Vetark CitroSan is a natural biodegradable product, which is extracted from oranges. 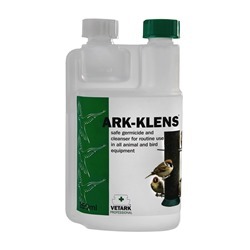 Ark-Klens - Disinfectant Cleaner For general routine cleaning of bird tables and bird baths.